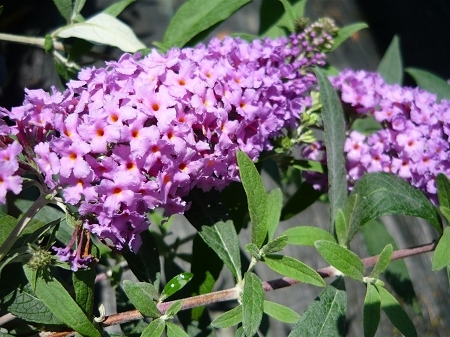 Nanho Purple Butterfly Bush (Buddleia daviddi 'nanho purple') - Reliable old time favorite for fragrant summertime blooms. Grows to a bush approx. 4'-6' tall and wide. Blooms profusely in mid summer with purple flowers. Will attract butterflies and bees to the garden. Good drought tolerance once established. Will self seed. Perennial zones 5-10 Live plant in 3 inch container.